Content is King, but what’s behind its reign? | Aim High! Content is King, but what’s behind its reign? It is the art of communicating with your clients and prospects, and regardless of what type of marketing tactics you use, it inevitably forms an inextricable part of your efforts. After all, it forms a huge part of marketing; from email marketing, through direct mail, to social media and blogging. Regardless of what you are trying to communicate and regardless of the medium, quality, clarity and added value should be the cornerstones of any campaign. These cornerstones are always embodied in content. One important thing to highlight here – despite its clear final objectives, content marketing should not be a simple sales outlet beefing up your services, products and offers. On the contrary, its focus is to educate and gently persuade prospects, and help the public make their buying decision through easily searchable, relevant and engaging storytelling. The phenomenon of content marketing is not new. Its onset was predicted by Bill Gates in 1996 in his famous essay “Content is King”. He did not use the term ‘content marketing’, but clearly stated that “content is where I expect much of the real money will be made on the Internet, just as it was in broadcasting.” A famous marketer and best-selling author Seth Goddin has gone as far as saying that “Content Marketing is the Only Marketing Left”. With that in mind, it should not come as a surprise that modern marketers continue to invest both budget and time in content marketing. According to the Content Marketing Institute 2013 reporton content marketing benchmarks, budgets and trends in the UK, marketers are investing more in content marketing than their international peers. Furthermore, 64% of them plan to increase their content marketing spend over the next 12 months. Even those that rate their efforts as least effective plan to make significant investments in content marketing. 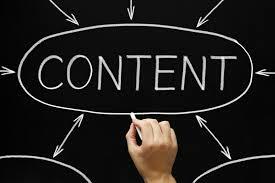 The popularity of content marketing derives from its ability to generate qualified leads. Simply: we live in the Information Age.The technological advances that occurred in the past decades have revolutionised the way people search for information. Because information is so easily accessible, people typically use platforms like Google, Bing, and Yahoo, to find new products, services, and solutions to their problems. They want information and that is where the content comes in. High-quality, informative, unique and engaging content equals higher search-rankings. It makes you more searchable. It gives your audience important information and builds a rapport. It therefore makes you more reputable and puts you in a position of a leader in the industry. Furthermore, the recent explosion of social media serving as distribution platforms is largely incremental to content consumption. Over 329 million people read blogs each month, and 27 million pieces of content are shared each day. Relevant, valuable, and engaging content makes your brand more shareable. In a nutshell, content marketing is a fundamental part of a marketing strategy as it is crucial for turning a visitor into a customer. ← How to leverage LinkedIn groups to gain more influence.